Let me start properly saying that I adore Harry Potter. It's one of my all time favourites, it's probably the reason I got into reading in the first place and it is most definitely the reason why I got into writing (there is a story behind this, but that's for another day...) and I love JK Rowling. She's a major inspiration to me in so many ways, it's unreal. I think she is an insanely creative and clever individual and cannot thank her enough for this wonderful universe she's crested and the cacophony of characters she has birthed into the world for us to enjoy and love and hate and in some cases, love to hate. I love everything that has expanded from the books. The Tales of Beedle the Bard. The Hogwarts Library containing Fantastic Beasts and Where to Find Them and Quidditch through the Ages. The movies. I want to go to the studio tour in London, I want to go to the theme park. I even have a Deathly Hallows tattoo (soon to be, hopefully, followed by another HP themed tattoo, but again that is for another day...) so it is safe to say I LOVE Harry Potter. What I am not such a big fan of however is Harry Potter and the Cursed Child. Or rather how this story is going to be delivered to us. I have never been the biggest fan of plays. Even as a child I wasn't a big fan of going to see a pantomime at Christmas just because it never really captured my attention in the desired way. I would always rather go and read a book. Reading is my favourite way of interacting with a story. Being able to imagine things the way I want, the way my brain interprets the authors ideas and characters and world. It is so liberating, so exciting and so damn cool! I do like watching movies, but plays, there's just something I find so claustrophobic about them and I do not know why. I don't like the way how you cannot immerse yourself in the story again and again, should you so wish, without having to shell out a heck of a lot of money. You see, I don't live in London, nowhere near really, I am in a completely different part of the country, so this whole thing could become a really expensive affair. Train tickets alone will be in the region of £40-£50 depending on what day I go. The tickets themselves have a tiered system, so no doubt the cheaper ones will go pretty damn quick leaving just the expensive tickets. And then there is the fact that this is in 2 parts and that makes me pretty damn annoyed! The timings are ridiculous. Some days both parts are being performed. Part One seemingly in at 2pm, and Part Two at 7pm, which would mean you'd have to spend all day in the city and work out something to do in-between parts. Then there is the fact that depending on running time it's going to be pretty late when you come out and for people who have the worry of the last train home that would detract from any enjoyment you could get when watching the play. But some days they are only showing Part One, with Part Two the following day... I mean... WHAT?!!??! Some people will travel a long way for this and to come all that way only to get half of the story? Well it seems pointless in my opinion. I know if I wanted to see it I would want to see the whole thing regardless. I just feel like there would be way better ways of sharing this story with the world than a bloody play. A play where special effects are incredibly limited and it worries me that when we've had such visually stunning movies in the series it will look so mediocre next to them. And then there's the international aspect. 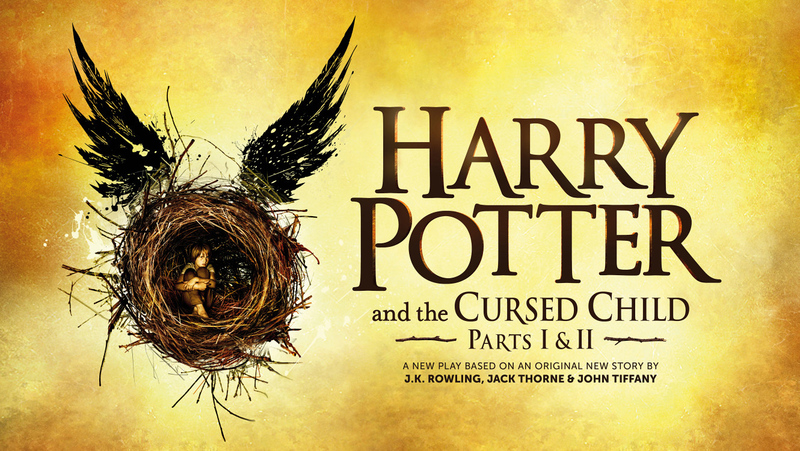 Fans from overseas may well travel to London to see the play, but at the same time there will be so many Harry fans that would never be able to afford to come, or for various other reasons might not be able to travel. What about them? Don't they deserve to enjoy the story just as much as everyone else? Yes, they do! What are your thoughts on this? The play. The fact that it has been split into two parts, the cost of that. Do you think it would be better as a book, or film... It intrigues me as there are a lot of people excited for this new story, and rightfully so, it's just the medium!